Bizarre Creations, the studio that created the Project Gotham Racing series, will officially cease to exist on February 18. Word that Bizarre would close its doors first slipped out in mid-January, prompted by the failure of Blur, the arcade racing game it developed after its split with Microsoft ended its involvement with the Project Gotham Racing franchise. The game sold only 31,000 copies in its first week of release for the Xbox 360 and PlayStation 3 and went downhill from there, leading Activision, which had acquired the studio in 2007, to put it up for sale. But there were no takers and on January 19 Activision Worldwide Studios Chief Operating Officer Coddy Johnson recommended pulling the plug. Despite its hard-nosed reputation, Activision reportedly put considerable effort into trying to sell the studio but ran into a wall as potential buyers decided it would be more cost-effective to let the studio collapse and pick up individual employees than to acquire the whole thing. "We heard this from a lot of them, they were asking; 'should we buy the studio, or should we wait it out and pick off talent after it closes?'" Johnson said following the original closure announcement. "Pretty much all of them, explicitly or implicitly, are thinking of the latter option." Develop revealed today that February 18 would be Bizarre's final day of existence. The site claimed in an "obituary" that Bizarre staff has spoken about the closure with "balance, open-mindedness and grace," and even complimented Activision's treatment of employees as things wind down. One commenter who claimed to be an ex-Bizarre employee seemed somewhat less-than-sanguine about the situation, although he pointed the finger of blame for the studio's failure not at Activision but at Bizarre itself. "When Activision took us over we did have creative control. When they shut us down we still had that creative control," he wrote. "The problem was that we made Blur; real cars in realistic cities with power ups. Who were we selling that game to? Marketing had no chance, we didn't even know how to sell it or who it was aimed at." "Then we made Bond, which was destined to be average from the start when we aimed to 'make it like Uncharted 2, but in half the time and with James Bond in it'," he continued. "Along with engine changes half way through and ignored warnings from external reports the entire way it was never going to hit the 85+ bar we'd had set for us by Activision. Like a kid in a sweet shop we had no idea what to do and we ended up doing the wrong thing for nearly 4 years." 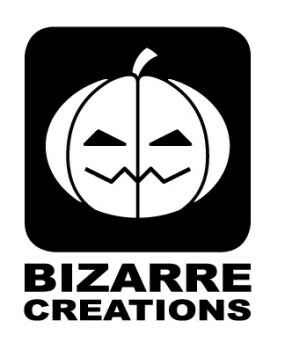 Whatever the details that forced the closure, it's always sad to see a game studio shut down and especially so when it's been around as long and done as much great work as Bizarre. We wish the best to everyone affected by the closure.